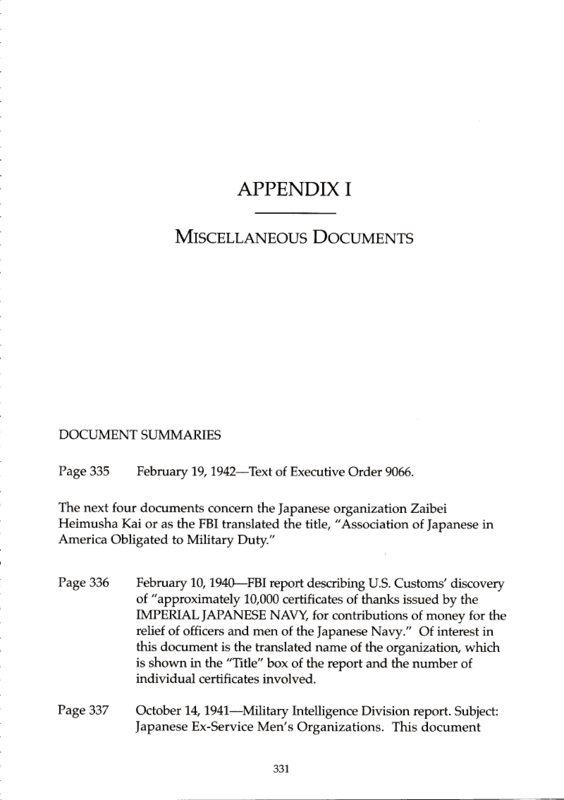 Document Notes: Contains a variety of documents including the text of E.O. 9066. Some show the means and extent of money collection from resident Japanese for the Imperial war effort. Organization engaged in espionage; John J. McCloy's letter to Sen. Grassley concerning the CWRIC and its operation. One of the most interesting docs is from the Ogden, Utah JACL to the Utah Governor opposing the settlement of West Coast Japanese residents in Utah.